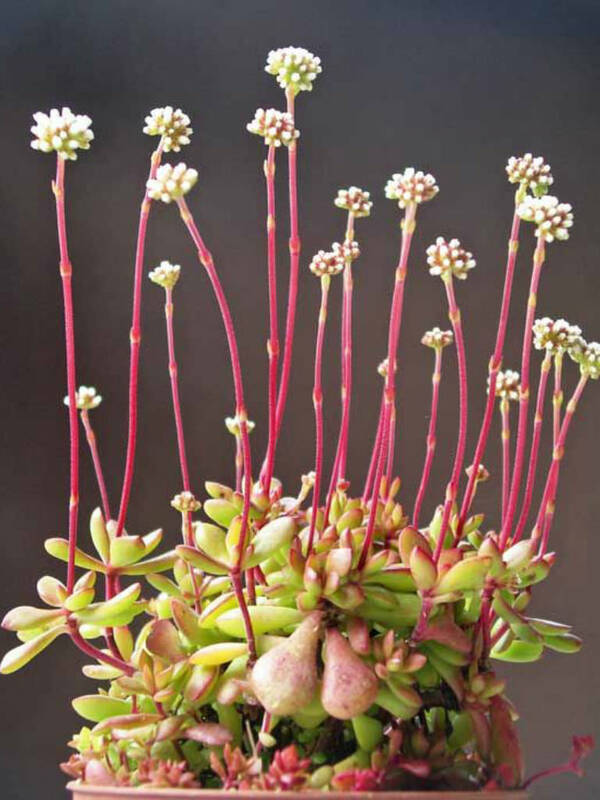 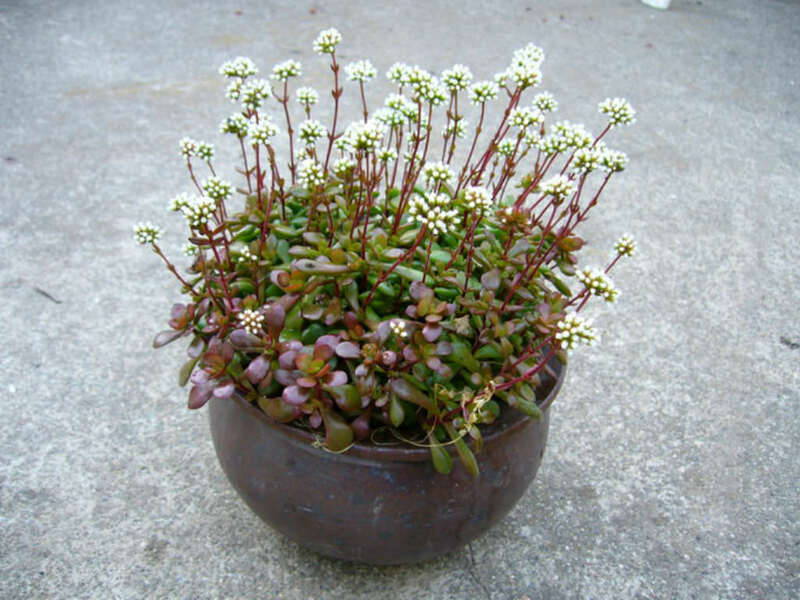 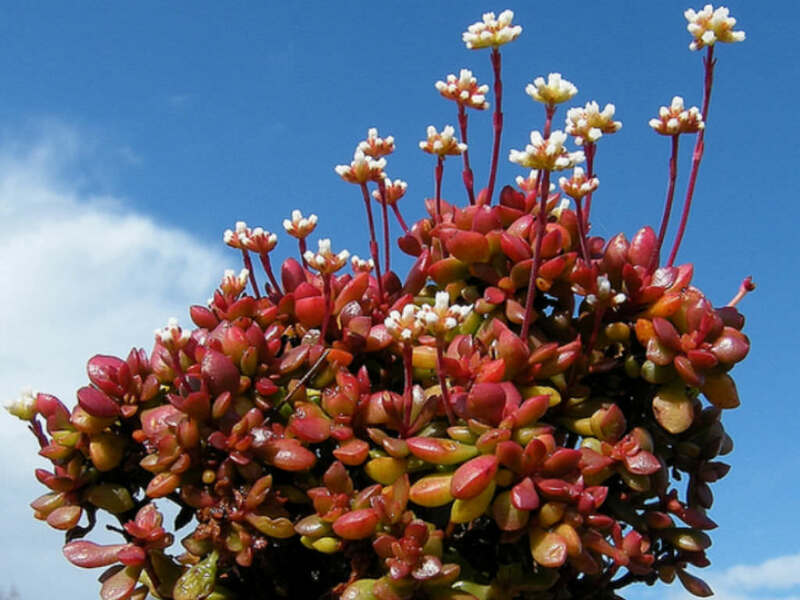 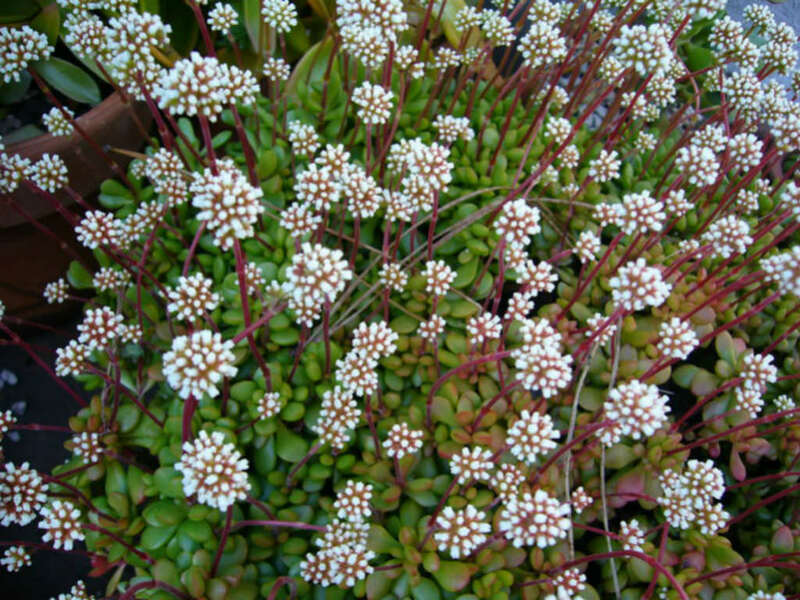 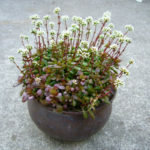 Crassula pubescens subsp. 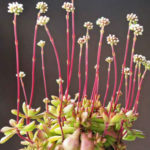 radicans is a dense, low growing, succulent plant up to 6 inches (15 cm) tall and spreading up to 3 feet (90 cm) wide, with older stems rooting at the nodes and short upright stems congested with small, flat, succulent leaves that are green much of the year but flush bright red in winter when grown in full sun. 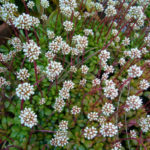 In the winter also appear the the tight, rounded clusters of small, white flowers on stalks a few inches above the foliage.